The U.S Open - live stream, odds, results, stats and fixtures! The United States Open Championship, more commonly known as the U.S Open, is an annual golf championship. It’s the second one of the four majors, scheduled between the PGA Tour and the European Tour. 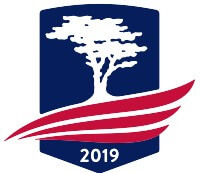 The 2019 U.S Open is scheduled to take place June 13-16. The championship will be played at Pebble Beach Golf Links in Pebble Beach, California. The 2019 U.S Open will be the 119th U.S open to be arranged. Defending Champion is American golfer Brooks Koepka – who won the tournament both 2017 and 2018. According to the early winner odds for the 2019 U.S Open, Brooks Koepka comes in at third place to the odds 12/1. Dustin Johnson and Tiger Woods shares the top of the winner odds at 10/1. The early odds from Unibet gives an idea of which players will be in the top – but the odds are more than likely to change as the tournament comes closer! Here at Odds Expert, you will find everything you need in order to follow the 2019 U.S Open. We provide you with the best odds, latest news, special promotions, results and statistics. Everything is collected on just one site – which will make your betting experience so much more enjoyable! The 2018 U.S Open will take place between June 13-16, and we are here to keep you up to date with this year’s tournament! if you want to watch the 2018 U.S Open, you can do so through live streaming online. Live streaming has become quite popular for the betting sites to offer. You can find live streams from the U.S Open and the other majors on sites such as Bet365 or Unibet. In order to watch a live stream from a betting site, you’ll need to have a registered account. Some betting sites also requires you to have placed a bet on the event, or that you simply just have a positive bank balance. Make sure to look up the live stream terms & conditions for the site you’re registered to! The first U.S Open was held back in 1895, where Horace Rawlins became the first-ever champion. The U.S Open winner will always be automatically invited to the other three major for the five following years. These include the Masters, the Open Championship and the PGA Championship. The champions is always awarded with a gold medal that they get to keep, as erll as the U.S Open Championship Cup, which the winner is allowed to keep for a year. Willie Anderson, Bobby Jones, Ben Hogan and Jack Nicklaus are the players that hold the record of most U.S Open victories. They all have four wins each.